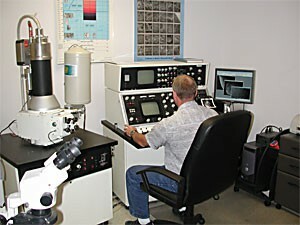 Scanning Electron Microscopy / Micro-Analysis - Metallurgical Technologies, Inc.
Our Scanning Electron Microscope and Energy Dispersive X-Ray Spectrometer (SEM/EDS) can examine and analyze samples at magnifications can be typically from 5X to 20,000X. 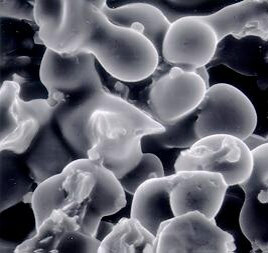 Both the microstructure and fracture surface are analyzed. MTi has two commercial SEM/EDS systems and is one of very few labs with these systems that is strictly dedicated to metallurgical analysis and corrosion-investigations in the Southeast. The Elemental composition of fine to microscopic particles or regions on a surface of samples are analyzed using a energy dispersive x-ray spectrometer (EDS) attached to the SEM. EDS micro analysis is performed by measuring the energy and intensity of the signals generated by a focused electron beam scanned across the specimen.